Located at an important intersection of routes between Scotland and England and a cross-Pennines road, the historic market town of Penrith has reaped the benefits of good transport links for centuries. 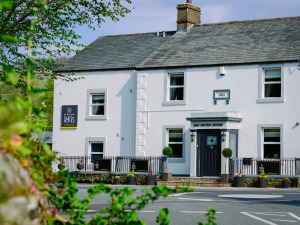 The surrounding villages, the dramatic northern Lakes, the beautiful Eden Valley and the rolling Pennine hills are significant areas to explore whilst visiting this historic town. This distinctive red sandstone town, with its popular markets and abundance of specialist, family-run shops, has become the regional centre for trade, industry and services in the Eden Valley. Make sure to visit Penrith Castle and immerce yourself its impressive history. In 1399, William Strickland, added a stone wall to the pele tower as a defence against the Scottish raids. 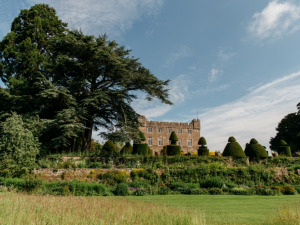 The castle was added to over the next 70 years, eventually becoming the royal fortress of the Duke of Gloucester in 1483 before he became King Richard III. There are also a series of interesting themed trails around Penrith town centre, including the Richard III trial which looks at the town's associations with the man himself. The ancient market town and royal borough of Appleby, in the heart of the Eden Valley, is the focal point for many outlying villages and hamlets. A landscape rich in myths and legends, in prehistoric settlements and burial mounds, strategic Roman forts and defensive Norman castles. Alston is the highest market town in England and sits at the junction of several Trans-Pennine routes. Surrounding the town is Alston Moor, a beautiful and diverse area known for its rare alpine flora and moorland birds. Located at an important intersection of routes between Scotland and England and a cross-Pennines road, the historic market town of Penrith has reaped the benefits of good transport links for centuries. Penrith and the surrounding areas offer a variety of things to do that cater for all ages and interests. From the historic ruins of Penrith Castle to the shopping and culture, Rheged. 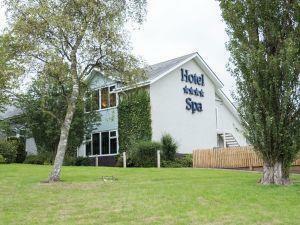 Take a look and see what you fancy during your stay. And so the adventure begins. Add some thrills to your holiday by fully experiencing everything Cumbria has to offer. Walk, run, climb, swim, get muddy, have fun! Just to the southeast of the Carlisle area, the Middle River Eden gorges lie at the heart of this glacial sculptured, dry stone walled, sandstone cottage, sleepy traditional Cumbrian Village landscape. Flanked by The Lake District National Park to the West and The Pennines to the East this area of natural beauty and quiet country lanes is one of Cumbria's hidden Gems. Simmerson Hill high above Castle Carrock and The Kings Forest marks a spectacular end to the Pennine Chain, with views eastwards towards Hexham and Newcastle, Northwards to Hadrian's Wall, Border Reiver (the Debatable Lands) and Scotland, and Westward to the Solway Firth, The Isle of Man and The Lake District. The Settle & Carlisle scenic railway runs through the area and stops at Armathwaite and Lazonby giving access to this diverse landscape. The Tour of Britain cycle route and ancient Scottish cattle droving lanes and paths criss cross the area, while grouse fells, salmon & trout fishing, horse ridding and country pursuits can be enjoyed by visitors throughout Middle Eden. Throw the house party of a lifetime as you recreate the golden age of English country life. 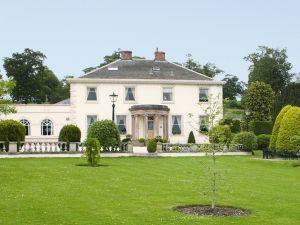 Melmerby Hall sleeps 18 in 9 ensuite bedrooms. 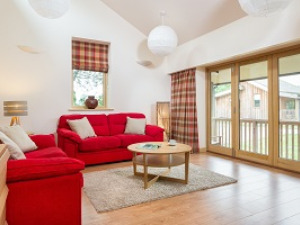 This can be extended to 52 people in 6 halls and cottages. 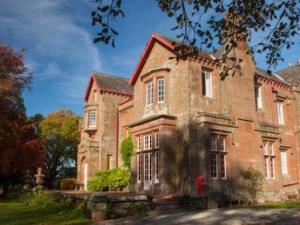 Grade 2 listed former Carriage House of Blencowe Hall and set within the Halls grounds. 3 double ensuite bedrooms, open plan kitchen dining and log burning stove in sitting room with views through arched windows. Private parking and garden. A14th century fortified tower renovated for modern living. Blencowe Hall and the three cottages within its grounds offer 5* luxury holiday let accommodation for guest parties ranging in size from 6 to 44 guests. Families and pets welcome. Traditional and superbly appointed sandstone farmhouse with 6 ensuite bedrooms has stunning views in all directions and is a walkers’ paradise. 2 log burning stoves, Aga and side by side fridge freezer in oak and granite kitchen. 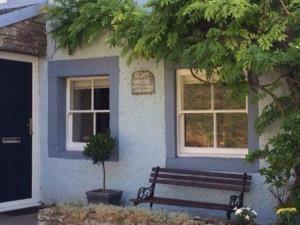 The Holiday Cottage. Modern fitted kitchen. Two bedrooms; 1 x king size and 1 x 2 singles. Luxury bathroom with shower, bath and bidet. 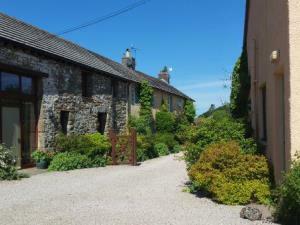 Historic, sandstone converted barn within the grounds of Blencowe Hall. 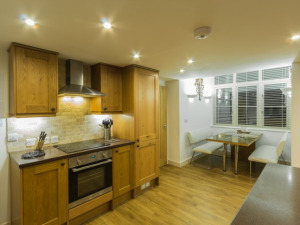 Luxury 3 bedroom ensuite cottage with well-equipped open-plan kitchen, vaulted ceiling, views over private garden. Private parking, Weber BBQ and garden furniture. Salutation Yard is a tranquil haven comprising of 3 beautifully converted farm buildings nestled in the Eden Valley village of Skelton. 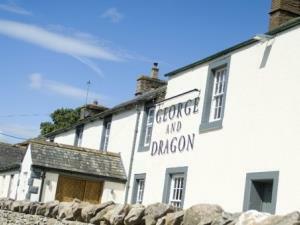 It is a 2 minute walk to an Inn serving food and a 10 minute drive to the Lake District National Park. A beautiful period house with a large terraced garden giving fabulous views to the Lakeland fells. A special place to stay with a warm and friendly atmosphere where you can enjoy a superb breakfast. Traditional, luxury sandstone longhouse with 4 bedrooms and 3 bathrooms. 2 Log burners in living room and main hall. 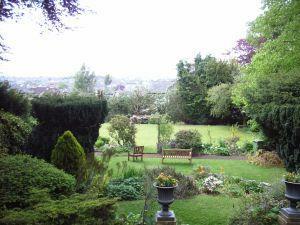 4 oven Aga, electric oven, BBQ and garden furniture in enclosed garden. 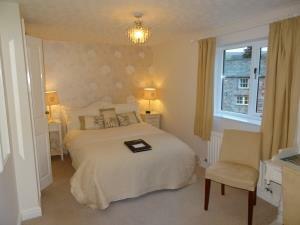 Visit England 4 Star Gold Award cottage just outside Penrith in the Eden Valley. Arranged "upside down" solid oak staircase leads to open-plan living area. Juliet balcony. Woodburning stove. Wi-Fi, towels and linen incl. Sleeps 4. Traditional, luxury sandstone longhouse. 4 bedrooms, 3 bathrooms, downstairs cloakroom. Log burner in living room, doors open onto large garden, Weber BBQ and garden furniture. Bosch appliances and American style fridge freezer in kitchen. Heads Nook Hall B&B offers a unique luxury Country Guest House experience, with a welcome as warm as the roaring open fires and just 7 miles from Carlisle, close to market town Brampton, is an ideal base for touring this beautiful region. Carefully restored 17th century sandstone barn within the grounds of Melmerby Hall, it has 3 ensuite double bedrooms, 1 on the ground floor. Log burning stove in inglenook fireplace with complimentary logs. Join us at Edenhall Estate, a world of tranquillity and adventure right between The Lake District National Park and the drama of the Pennine Fells. 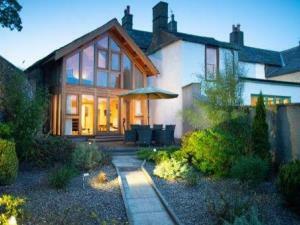 High Winder Holiday Cottages are situated in a secluded location with direct access to the fells. 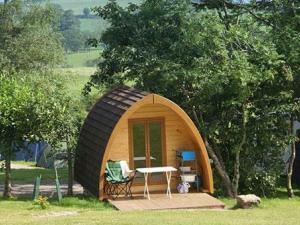 Close by are the attractions of Ullswater and the Eden Valley. Lots of wildlife including a resident family of red squirrels. Luxury restoration of sandstone barn into three ensuite bedroom accommodation (2 downstairs), open plan dining kitchen with 2 oven Aga and hob, log burner, garden furniture, Weber BBQ, private garden and parking. Walkers paradise. 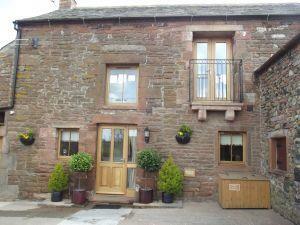 Historic, luxury restoration of sandstone barn into four ensuite bedroom accommodation with private garden and parking. Log burner, garden furniture, Weber BBQ and dining room table with convertible billiards table. 4 oven Aga and hob. There are a variety of events taking place in Penrith and the surrounding areas over the year. Why dont you check out the calendar and see what's on while you're here? For events happening around the county, click below for our What's On page. The attractive village of Kirkoswald is host to a fascinating church, ruined castle and cobbled market square. The drovers' village of Langwathby is situated east of Penrith and is an idyllic village containing a large central green, a pub, farmhouses and cottages. Lazonby lays claim to the largest auction mart for grey-faced mules in the country. 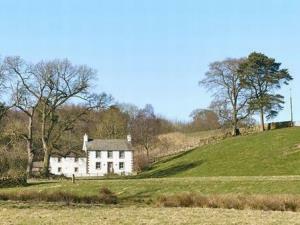 Little Salkeld is home to a fully working corn mill and has one of the largest stone circles in the UK on its doorstep. A small village south of Penrith containing many historic houses and inns. Historically, the village was used by travellers as a crossing point of the River Eamont. The existence of ancient sites at Mayburgh Henge and King Arthur's Round Table indicates prehistoric occupation of the area. The Romans identified the advantageous transport routes, building the fort of 'Voreda' about 6 miles north of Penrith, linked to another at Brougham Castle (Brocavum). During the 9th and 10th centuries, Penrith was the capital of Cumbria (a semi-independent state that was part of the Strathclyde region of Scotland). In 1295 the town was seized by Edward I of England, and for the next 15 years, Penrith was subject to numerous border skirmishes between the Scots and the English. The castle and the narrow streets and passageways evident in the town today were deliberately built as defences against border raids. Richard, Duke of Gloucester was given the Lordship of Penrith by his brother, Edward IV, and spent much time at Penrith Castle, adding a large banqueting hall, kitchens and other buildings. Rowcliffe Lane, a street hardly noticed by people today, was once at the industrial heart of Penrith. Although only 8 feet wide in places, it was filled with tailors, coopers, saddlers, rope-makers and whitesmiths in the 17th century. Wagons and coaches would regularly travel up and down the narrow thoroughfare, and some signs of its industrial past are still evident today. The Musgrave family owned Musgrave Hall on Middlegate (now occupied by the British Legion) - their coat of arms can be seen on the lintel over the doorway. A clock tower was erected in the centre of Penrith in memory of their eldest son, Philip, who died in Madrid in 1859 at the age of 26. William Wordsworth and his sister, Dorothy, attended school in St Andrew's Place, and it was here that he first met Mary Hutchinson, his future wife. Wordsworth's grandparents owned the Moot Hall where his mother died in 1778. The Moot Hall was demolished in the 1830s and replaced by Arnison's drapery shop. In St Andrew’s churchyard lies the Giant’s Grave, possible resting place of Owen, King of Cumbria in the 10th century. It comprises two pre-Norman crosses and four Norse ‘hogback’ tombstones. Legend also associates the grave with Sir Owen Caesarius, a mythical giant who supposedly lived in a cave by the River Eamont. This is in the forecourt of the Greengarth home for the elderly in Bridge Lane. Its hollowed out centre would have held vinegar or some other disinfecting agent and here the townsfolk would place their money in exchange for food brought in by farmers from outside the town. The moor was the site of the last battle on English soil between Scottish and English armies on the 18 December 1745. The dead are buried in the village of Clifton – the Scots under an oak tree (known as the Rebel Tree) at the end of Town End Croft (a plaque marks the spot); the English in the churchyard. Beacon Hill provides a dramatic wooded backdrop to the town of Penrith. On the summit stands Beacon Pike, a stone tower dating back to 1719 that marks the spot where bonfires were lit during times of conflict to spread the word quickly to other parts of the county. A smaller henge approximately 400 metres away, dating back to around 2000 BC. A flat central platform is surrounded by a circular ditch and an earth bank. Built next to the Roman fort of Brocavum, on the banks of the river Eamont, the castle became a medieval stronghold designed to repel invasion by the Scots. It was restored in the 1650s. Within 100 years the castle was stripped and left in ruins. It is now under the protection of English Heritage who permit access to parts of the castle.